Yesterday marked the end of one chapter and the start of another. Regular readers will know that I've been running in the Victorian State Election and I'm delighted to announce that I was declared successfully elected as a Member of the Legislative Council for Eastern Metropolitan on Tuesday afternoon. 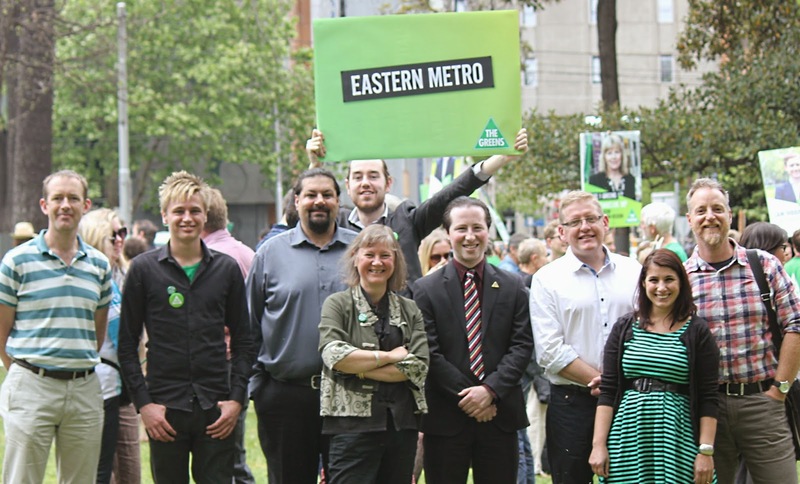 I'm elated to be the first Greens to be elected to Eastern Metropolitan Region, as I was when I was the first Greens councillor elected in Yarra Ranges. But there is a small tinge of sadness too as I move on from representing the wonderful community that makes up the Lyster Ward and further afield those communities across the 55 townships in Yarra Ranges. This community has put their faith in me by electing me for three terms in local government, the most recent in 2012 with a primary vote of 58.93%, making me the longest serving woman councillor in Yarra Ranges. I thank the community for that and I look forward to continuing to participate in the myriad of community activities in the Dandenong Ranges and beyond. I was there as the Lyster Ward councillor. 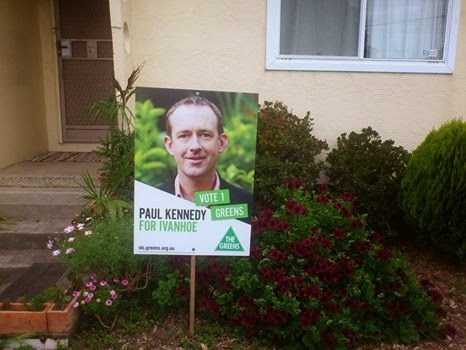 I first decided to run for council in 2005 as part of a community campaign to save Long Day Care at Sherbrooke Children's Centre in Upwey, I never expected to get elected , but have enjoyed the experience immensely. In a full circle moment, it is a curious coincidence that my last meeting as the Lyster Ward Councillor was in the newly developed Sherbrooke Family and Children's Centre on Monday night. 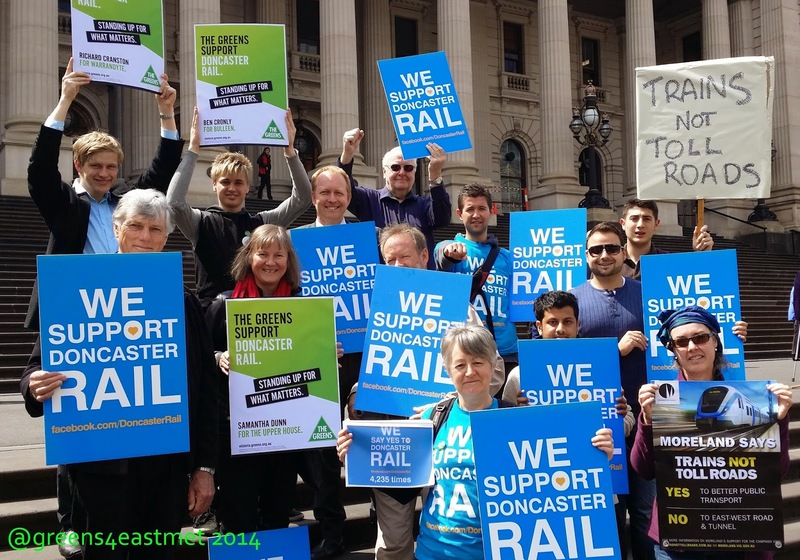 My time in local government has seen me take on the roles of Chairperson of the Eastern Transport Coalition from 2009 to 2014, Board member of the Victorian Local Governance Association from 2009 to 2014, including two terms as President and Board member and Chairperson of the Eastern Regional Libraries Corporation. It's been a great experience and I've loved being an advocate across these sectors. 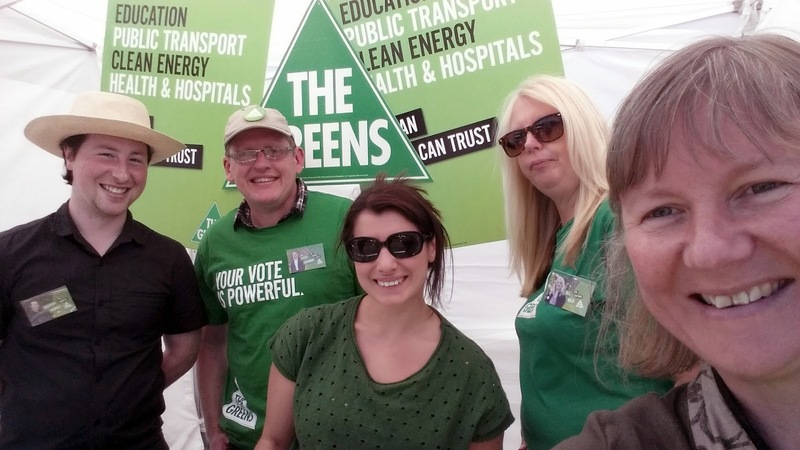 This is my last blog entry on "Cr Samantha Dunn, the official blog of Greens Councillor Samantha Dunn, Shire of Yarra Ranges". I thank everybody who's helped me along the way, there's been much laughter, some great community outcomes and I've made friendships that will endure through time. 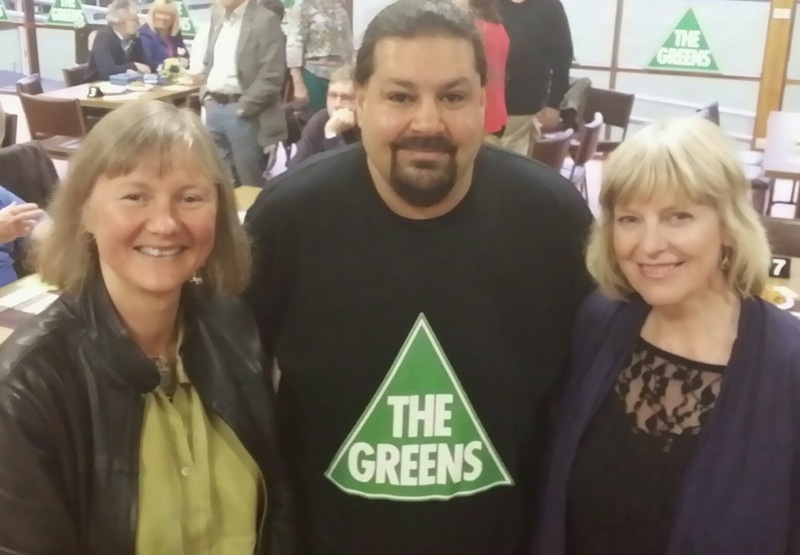 I was there representing Yarra Ranges Council. 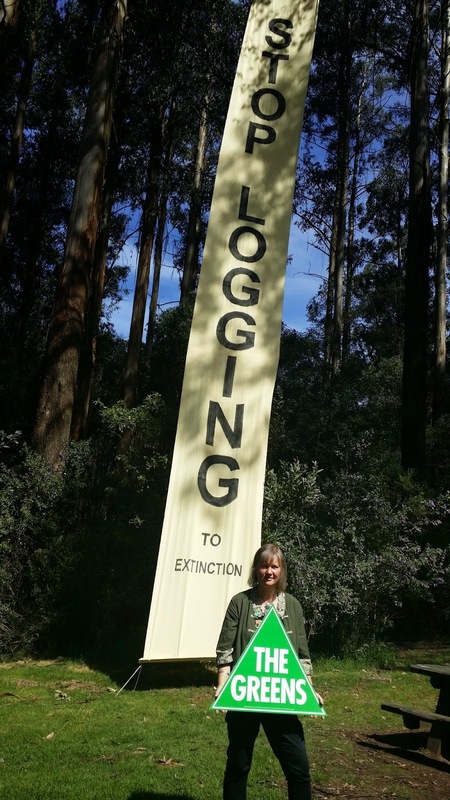 I assure you I will continue to be passionate about the Dandenong Ranges and protecting what's special about this unique part of Melbourne, but it's also time to look forward and be a strong voice for Eastern Metropolitan. 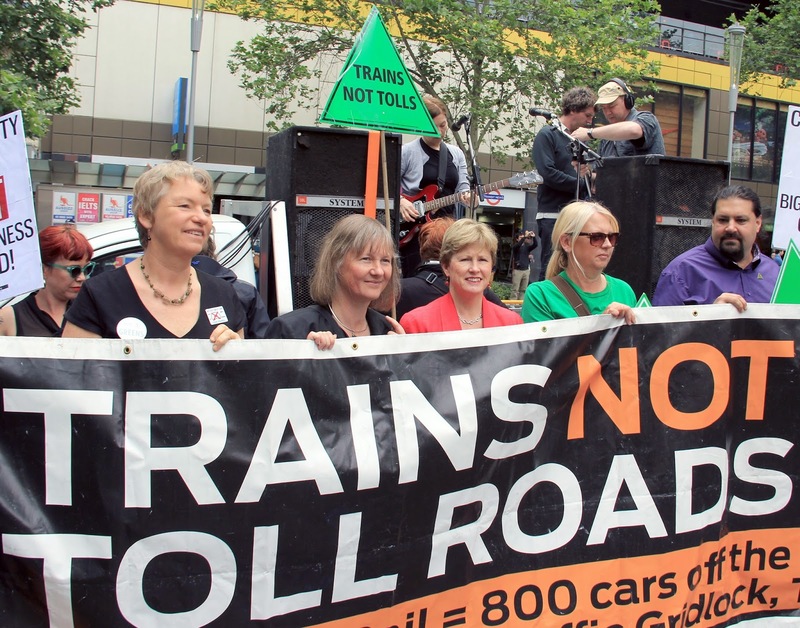 My victory is for all those people who want to see action on climate change and the environment and improvements to our public transport system. 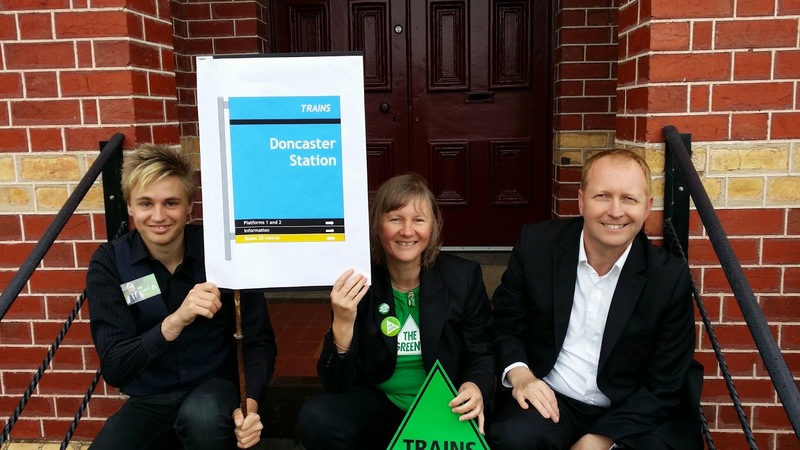 Yesterday's result reaffirms the need for a rail line to Doncaster, improvements to the rail and tram network and better bus services. 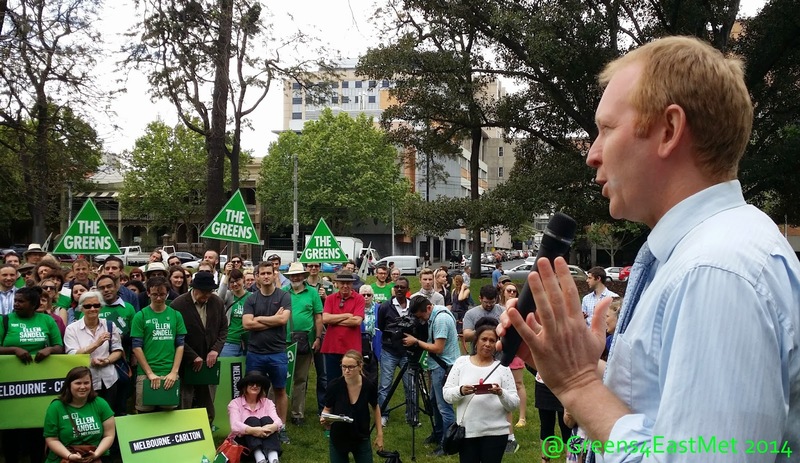 People want to see a transition to renewables, a reduction in emissions and the establishment of a Great Forest National Park. As I look forward I will always remember, very fondly, my time as the Lyster Ward councillor. I'm running in the upcoming state election in the upper house seat of Eastern Metropolitan. 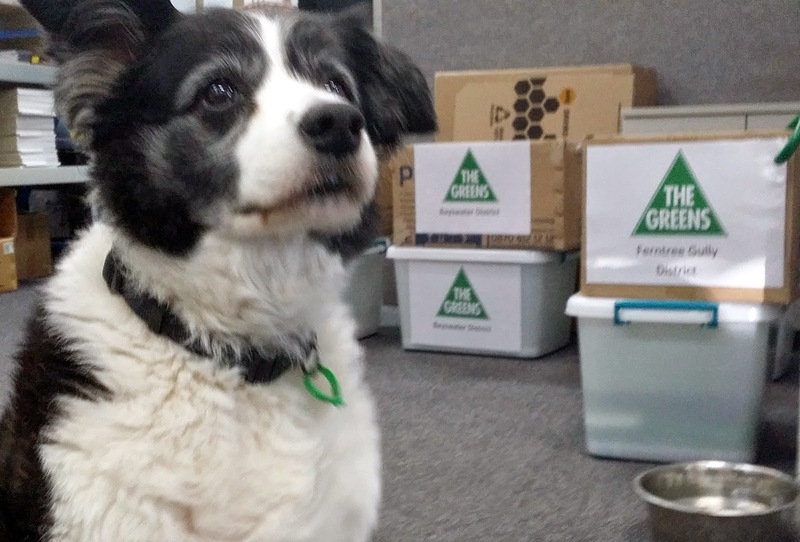 It's getting to the pointy end now with election day on 29 November, if you'd like to help the campaign email me on samantha.dunn@vic.greens.org.au. help with the Eastern Metro phonebank. 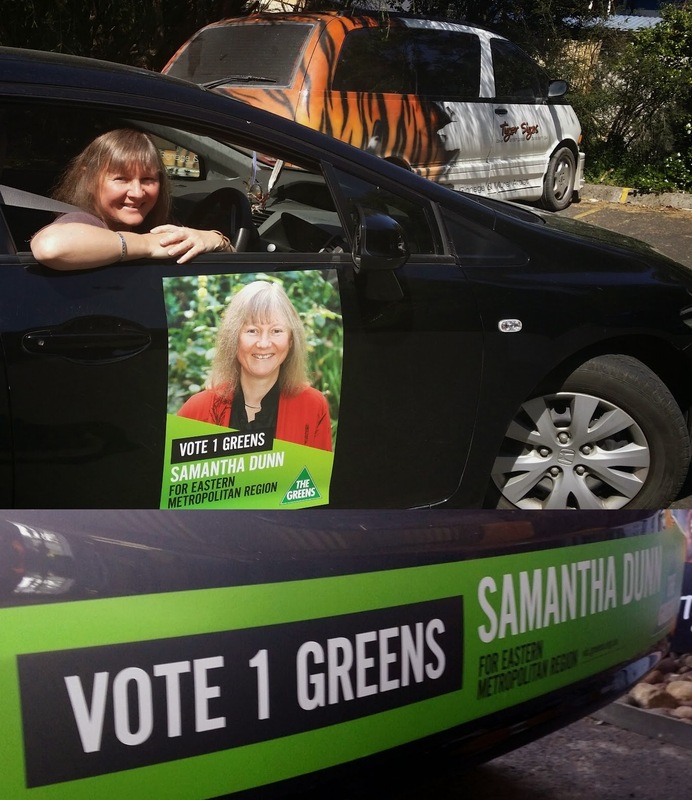 - Greens candidate signs going up across Eastern Metro, can you help? If so PM me. 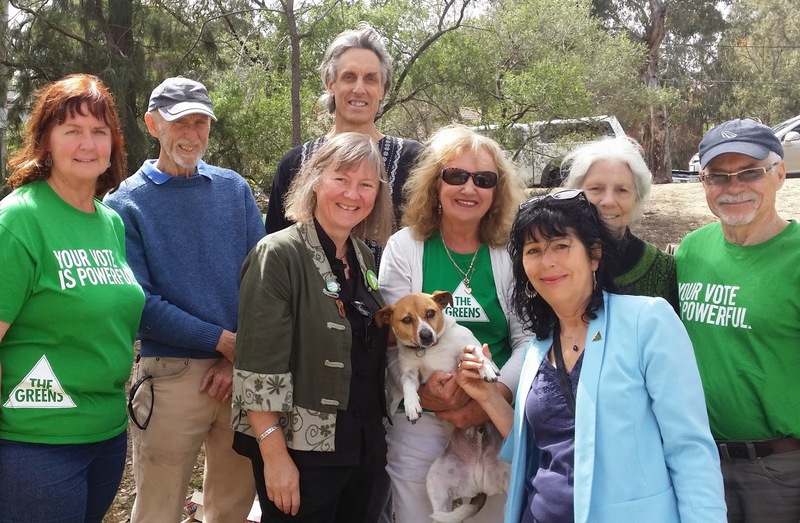 - Manningham Greens Day of Action, volunteers hit Bulleen and Warrandyte with Ben Cronly, Richard Cranston and Greg Barber. At last night’s council meeting councillors had to make a decision on the review of the Subdivision minimum lot size provisions of the Low Density Residential Zones (LDRZ) across the shire. submitters speaking about the Olinda Pool. The review came about after the Minister for Planning amended the LDRZ to a minimum subdivision of 2,000 sq mtrs (from 4,000sq mtrs) back in July 2013. At the same the Minister introduced a schedule to the LDRZ (apologies for planning jargon) to retain the 4,000 sq mtr subdivision size on an interim basis to allow council time to consider any changes. There’s been an enormous amount of community consultation on the issue with over 2,400 online surveys received along with 54 written submission and 45 verbal submissions at a special meeting of council. 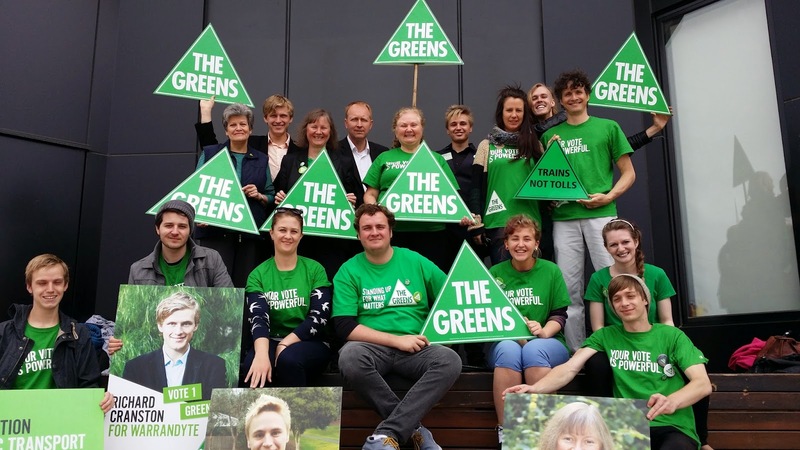 Opinion was divided, depending on what part of the Shire you came from, but what was consistent was the majority opposition to changes in the Dandenong Ranges and that a one size fits all approach across the Shire was not appropriate. It was an issue I’d rather not be contemplating, I didn’t think we should be making any changes to LDRZ, however that wasn’t the majority view of my colleagues. I moved a motion which sought to exclude the townships of Belgrave, Belgrave Heights, Belgrave South, Selby, Tecoma, Upwey and Upper Ferntree Gully from any changes to the LDRZ subdivision controls. I am pleased to report that the motion was supported unanimously by councillors (note: Crs Callanan and Witlox absent). · Council generally supported the change of 2,000 sq mtr minimum subdivisions for LDRZ across the Shire with the exception of Belgrave, Belgrave Heights, Belgrave South, Selby, Tecoma, Upwey and Upper Ferntree Gully, however there are further parameters that limit the extent of subdivision across the Shire. · Areas within the Bushfire Management Overlay (BMO - per our council report attachments 3 to 10) will not be subject to the lower subdivision provisions of 2,000sq mtr and will remain at a minimum of 4,000sq mt. · Cr Child amended the motion to exclude properties in the BMO when it came to Warburton (attachment 5), citing the lack of fire risk for LDRZ in the township, so that means the minimum of 2,000sq mtrs will apply in the Warburton LDRZ. · It excludes the areas of uniform subdivision in Attachment 8 – Lilydale, so the 4,000 sq mt minimum will be retained there. · It excludes what’s known as the Bickleigh Vale subdivision (Heritage Overlay 75) on attachment 8 - Montrose, so the 4,000 sq mt minimum will be retained there. · It excludes LDRZ lots outside of the Urban Growth Boundary, attachment 3 - so the 4,000 sq mt minimum will be retained. 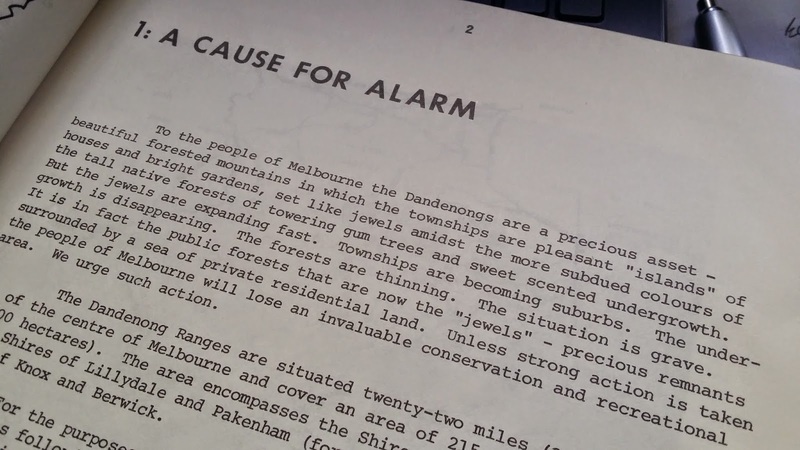 There’s been a long history of strategic planning for the Dandenongs which resulted in the development of the Regional Strategy Plan which makes specific reference “there shall be no net increase in the total provision for residential development in the Dandenong Ranges…”. 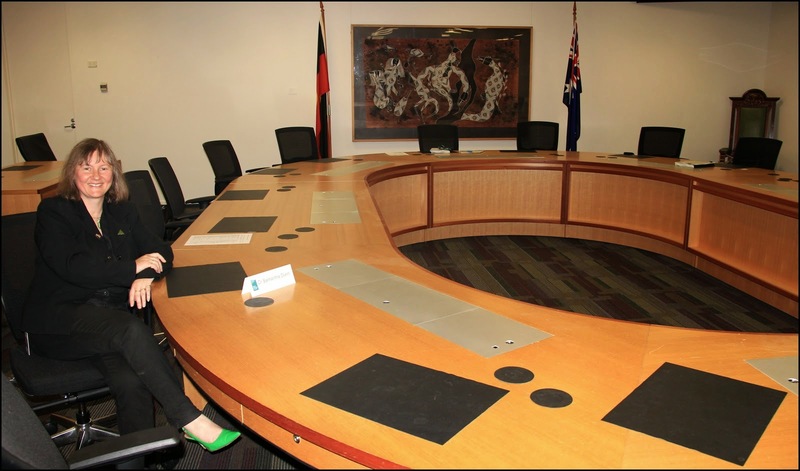 The Regional Strategy Plan can only be amended by both houses of parliament, is the only one of its kind in Victoria and carries much weight in terms of the strategic direction of the shire. I’m pleased to say that councillors supported the motion to exclude any changes to Belgrave, Belgrave Heights, Belgrave South, Selby, Tecoma, Upwey and Upper Ferntree Gully. Regional Strategy Plan, it ring true today, 40 years later. 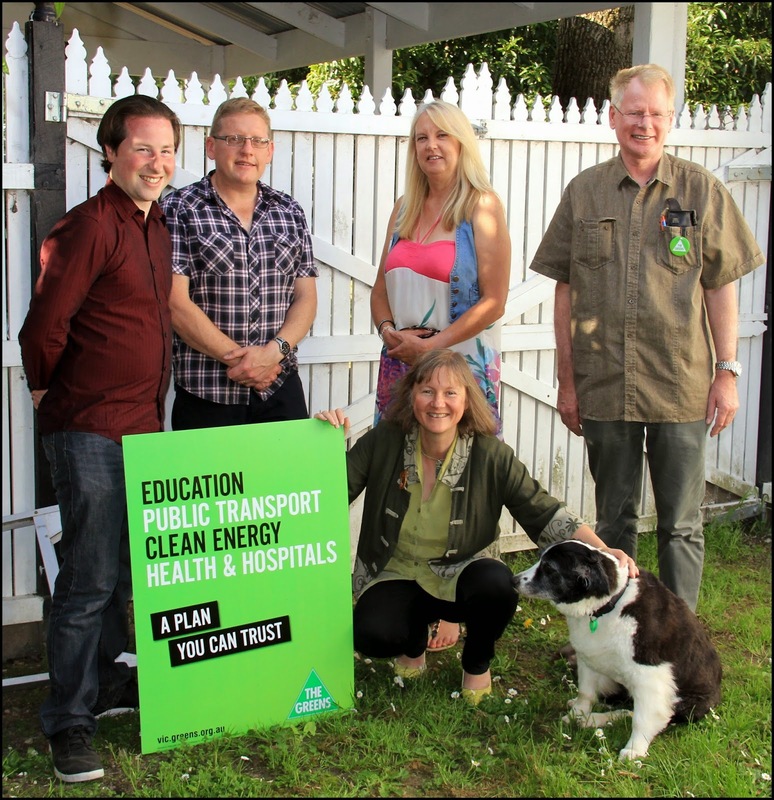 Given the history of strategic work to support no changes in the Hills, the level of community opposition to any changes, with 78% of verbal submitters from the Dandenongs opposed to any change and of the written submissions 68.7% opposed in Upper Ferntree Gully, 70% opposed in Upwey, 67% opposed in postcode 3160 (Belgrave, Belgrave Heights, Belgrave South and Tecoma) and 74% opposed in Selby, it was good see that councillors took that into account by supporting the motion to exclude those townships. It's great to learn the Sherbrooke Children's Centre has successfully been awarded a grant under the Long Day Care Professional Development Programme (LDCPDP). SCC will receive $75,000 to provide the centre’s educators with assistance to meet the qualification requirements under the National Quality Framework (NQF) and to improve practice to deliver quality outcomes for children. Sherbrooke Children’s Centre recently received a rating of Exceeding the National Quality Standard in all 7 areas which puts it into the top 4% of early childhood services in Victoria. The $75,000 will support the continuing learning journey of the large staff group of up to 40 early childhood professionals at Sherbrooke Children’s Centre and the ongoing reputation of the service as a Centre of Excellence. Educators will benefit from high quality training and development opportunities that contribute to improved early learning experiences and outcomes for children in the years before they commence formal schooling. It's great news for children and great news for families. 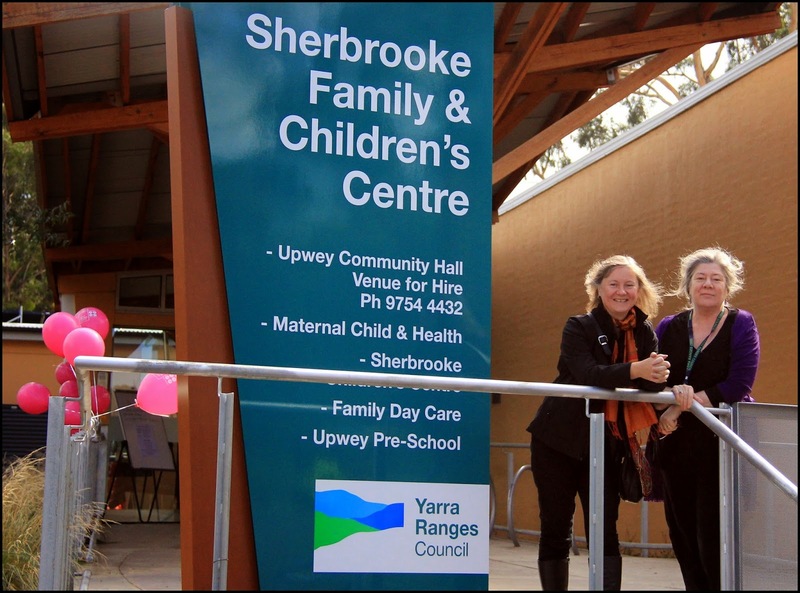 It follows on from another recent accolade where Sherbrooke Children's Centre and the Yarra Ranges Early Years team took out a major award at the Premier’s Sustainability Awards at Docklands. Family & Children’s Services won the Community category with their Seedlings: sustainability in the Early Years project. 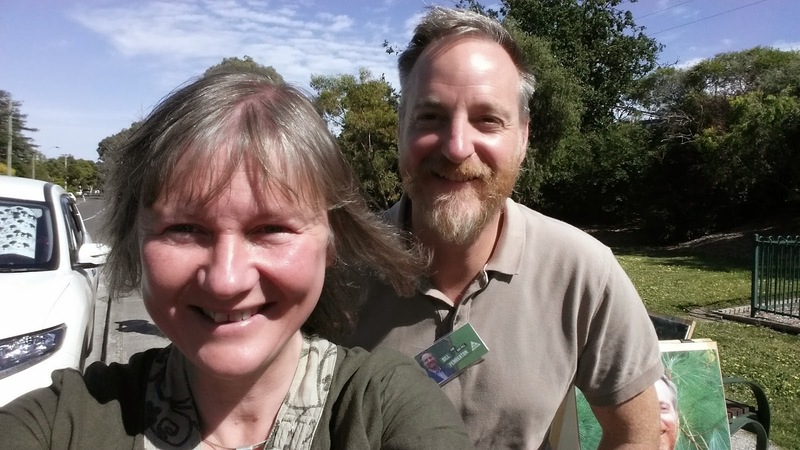 Seedlings is a partnership between Yarra Ranges Council, City of Knox, Alpine Shire, City of Melbourne and City of Port Phillip formed in 2012 to develop a framework and tools for use across a range of early childhood contexts. Yarra Ranges has 12 early years services participating in the program, which provides for adaptability and flexibility so that it can be implemented in any early years service setting. Seedlings provides a wholistic approach focusing on all aspects of sustainability and helps children develop skills for the future including systems thinking, resilience, problem solving, critical thinking, risk assessment, participation, advocacy and leadership. It's great to see Yarra Ranges early years services going from strength to strength. yarra ranges says "enough pokies"
Yarra Ranges Council has thrown its support behind a Municipal Association of Victoria and Salvation Army campaign to better protect for vulnerable communities from inappropriate placement of pokies machines. Dozens of Mayors and Councillors from around Victoria attended the launch of the “Enough Pokies” campaign last Thursday, which was supported by Word Vision’s Tim Costello and the Salvation Army’s Bruce Redman. 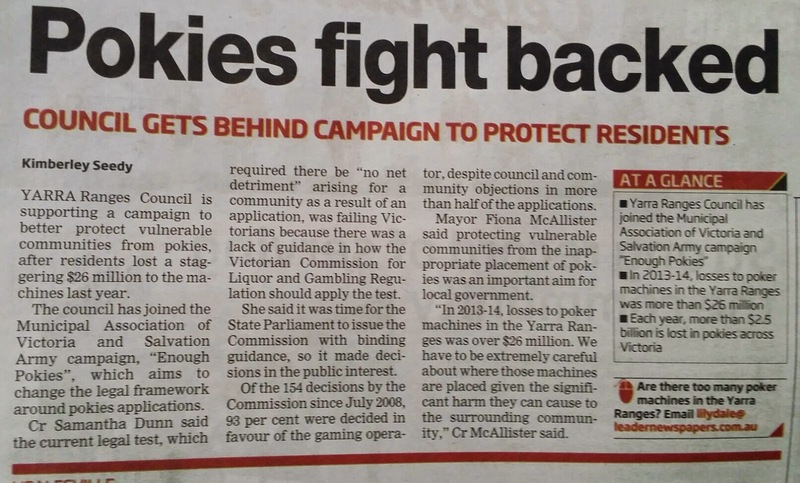 Mayor Fiona McAllister said protecting vulnerable communities from the inappropriate placement of pokies is an important objective for local government. “In 2013-14 losses to poker machines in the Yarra Ranges was $26,625,127. We have to be extremely careful about where those machines are placed given the significant harm they can cause to the surrounding community,” she said. Convener of the Victorian Local Government Association Working Group on Gambling, Yarra Ranges Councillor, Samantha Dunn, attended the launch. “In recent years the big operators have been attempting to grow their gaming revenues by moving more of their machines into the most vulnerable and disadvantaged communities in the state. They have been assisted by an inadequate legal framework,” Cr Dunn said. Cr Dunn said the current legal test which required that there be ‘no net detriment’ arising for a community as a result of an application was failing Victorians. “There is a lack of guidance in how the Victorian Commission for Liquor and Gambling Regulation (VCLGR) should apply the test,” she said. Of the 154 VCGLR decisions since July 2008, 93% have been decided in favour of the gaming operator, despite strong council and community objections in more than half of these applications. Tim Costello, chairman of the Australian Churches Gambling Taskforce, said that greater efforts were needed to limit the damage done by pokies. “Each year, over $2.5 billion is lost in pokies across Victoria. That’s almost $7 million per day out of the pockets of Victorians and into gaming machines,” Mr Costello said. 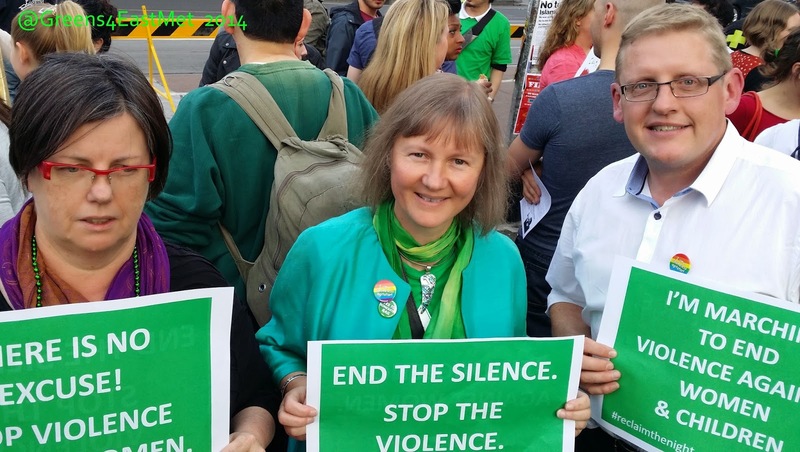 “We need to strongly consider the damage that pokies can do to people and to communities. This is especially true of Victoria’s poorer postcodes. “Any step that helps to protect vulnerable communities from the harm of poker machines is a step worth taking, and I fully support what the Enough Pokies campaign is trying to achieve,” he said. Municipal Association of Victoria President Bill McArthur said that local councils had demonstrated a deep concern about the issue. “The MAV State Council overwhelmingly voted to support this call for change. It is clear to us, by the number of councils who have expressed their concern for the welfare of their communities, that inappropriate placement of pokies is an area the state government needs to address,” Cr McArthur said. 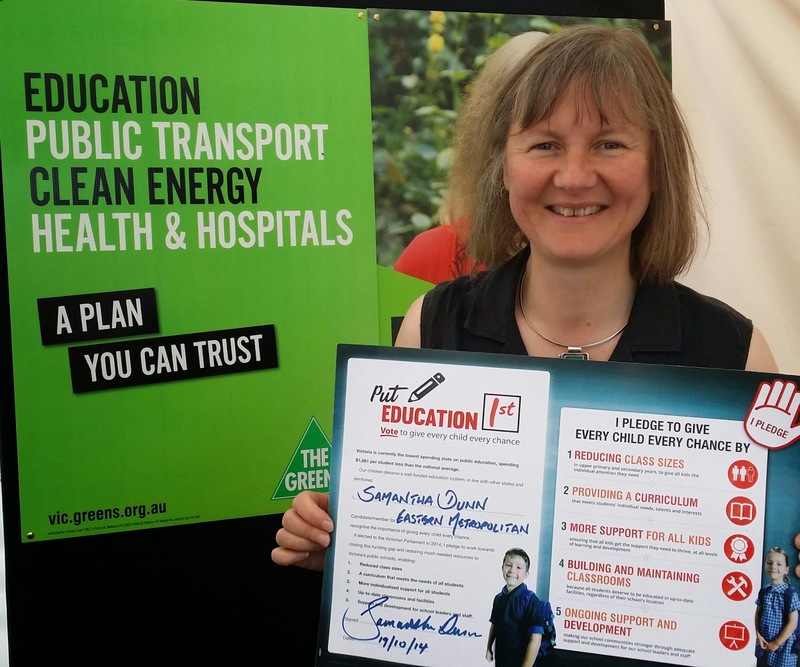 In support of the Enough Pokies campaign, the MAV has sought protection for vulnerable communities from pokies in its Call to Parties document submitted to all major political parties ahead of the state election. 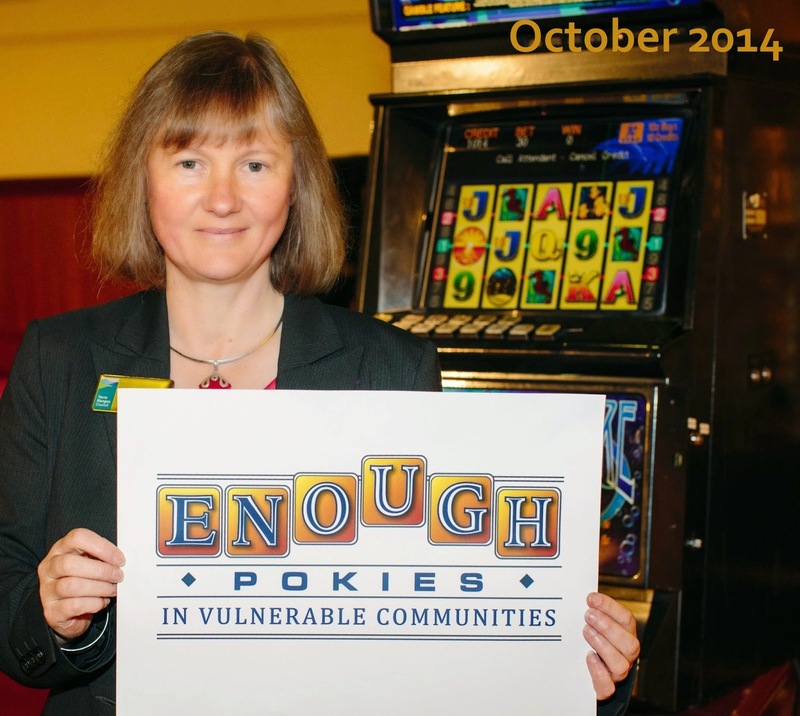 Follow the campaign on Facebook.com/EnoughPokies or @EnoughPokiesVic. Sharpen your pencils and get out your textas, it’s Big Draw time! The Big Draw is back in Yarra Ranges for another year, with drawing activities and events happening across the region this month. The Big Draw is an international celebration of drawing that attracts the participation of over 280,000 people across the globe. This year’s theme, It’s our World, invites participants to celebrate their local environment through drawing. In October residents and visitors will be encouraged to contribute to a mass postcard art project by creating and sharing a drawing of what they love about this place on a Wish you were Here postcard. Postcards will be available at Community Links, Cultural Venues including Burrinja, Maternal Child Health Centres, Libraries, Bendigo Bank Branches, Cafes and local businesses. Pop up drawing stations will also appear in Cultural Venues across the region. Completed postcards can be returned online, via mail (reply paid in Australia), or in person at a community link or cultural venue. Postcards will then be displayed in an online gallery. 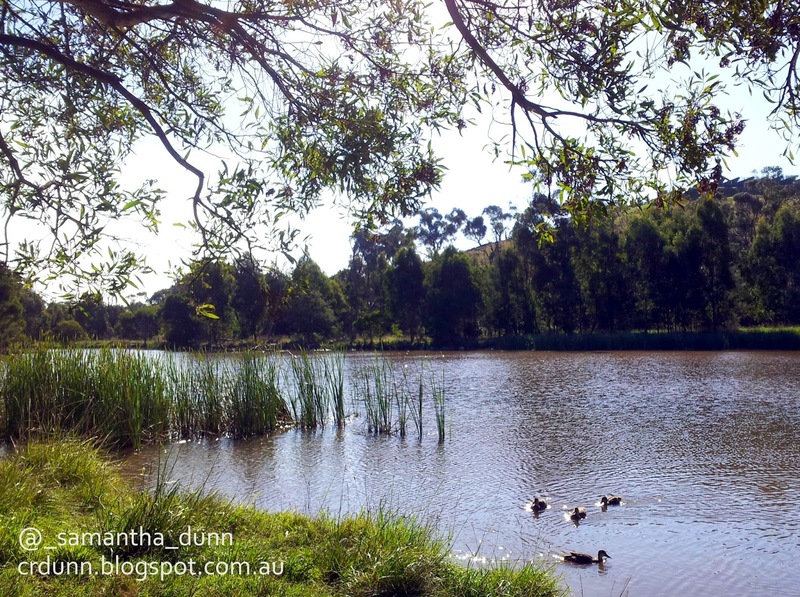 earlier this year - Platypus Drain. 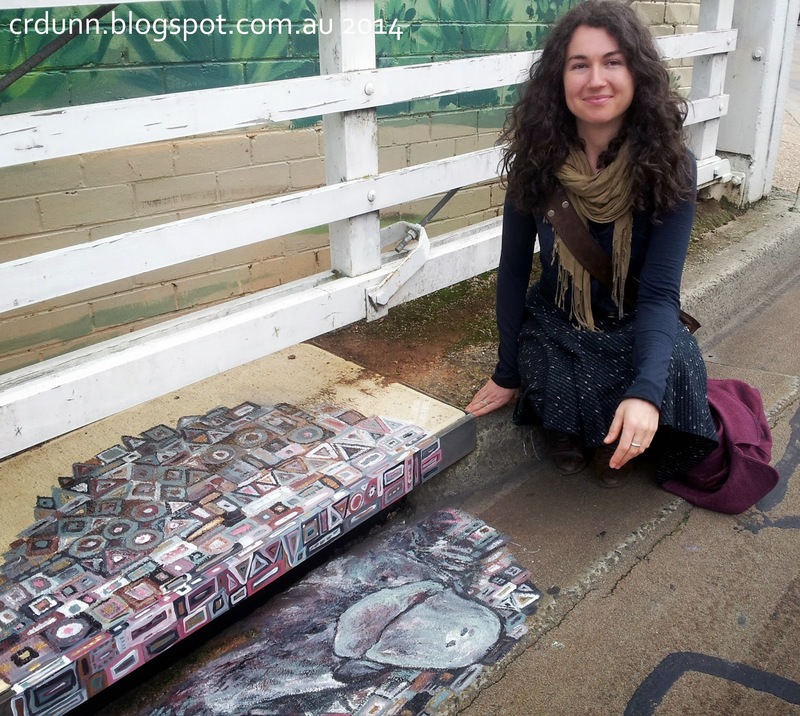 At the end of the month local artist Shelley Krycer will transform the postcards into site specific artworks to be exhibited in multiple locations in November/December. Like to know more, click here. 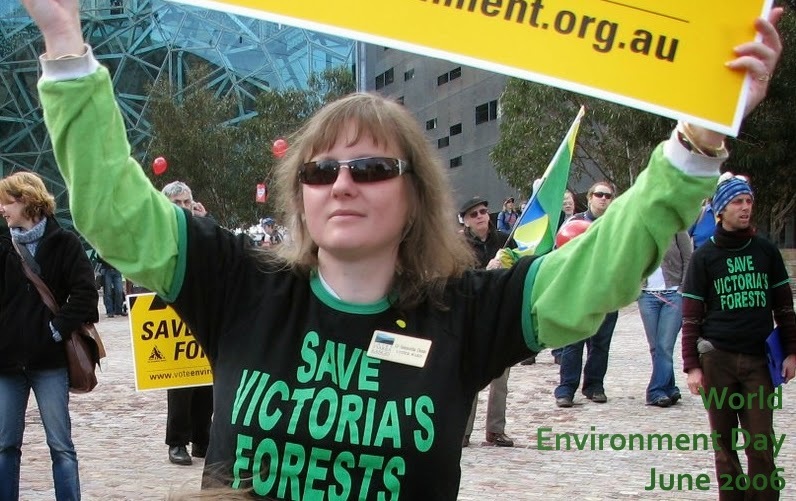 Yarra Ranges Council’s draft Environment Strategy, out now for public comment. This draft strategy has been developed through a consultative process that started in November last year. Council has worked with the community, Yarra Ranges Environment Advisory Committee and Councillors to shape the strategy. 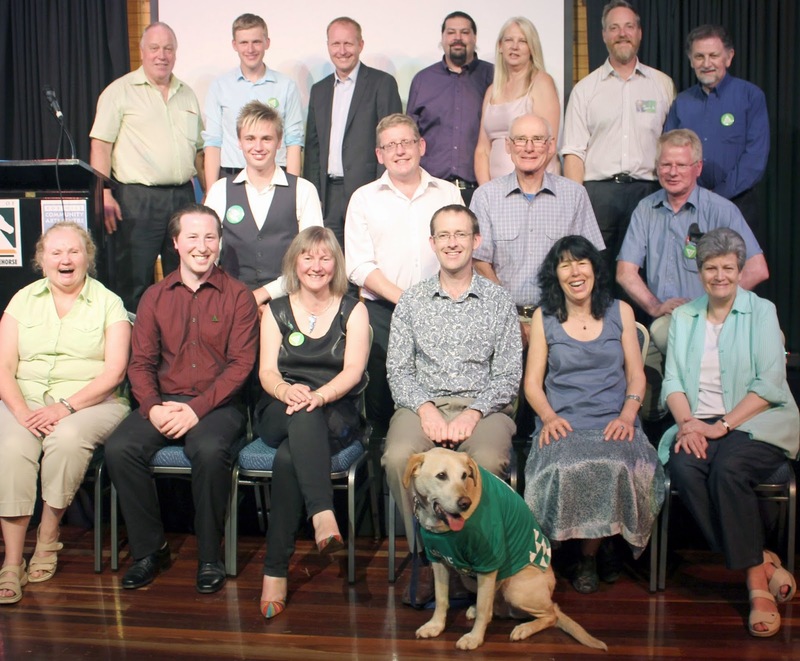 All who live and work in the Yarra Ranges see themselves as stewards of our environment. Council’s draft Environment Strategy is available for comment until 7 November. We are very keen to hear from as many people as possible so let us know what you think and encourage those in your networks to have their say. It can be as simple as doing the quick poll online. For those with more time we have a discussion thread online, people can chat to us directly at one of the public consultation events we are hosting or people can provide a submission. The draft document and all the details are available now from our website at here. 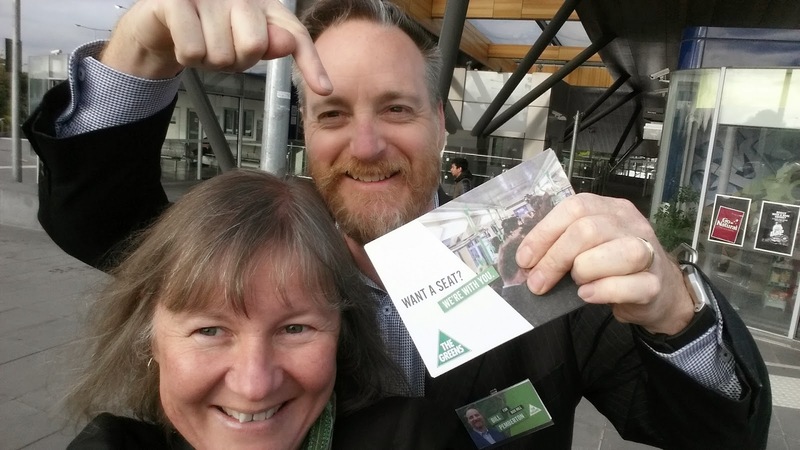 Richard Cranston - Warrandyte and Ben Cronly - Bulleen.